GLENMOORE, Pa. (WPVI) -- Chester County is ready to show its country spirit with a three-day music festival in the Brandywine Valley. Alabama, Toby Keith, and Brad Paisley are headlining Citadel Country Spirit USA at Ludwig's Corner Horse Show Grounds in Glenmoore. The festival, featuring more than 20 country music artists on two stages, takes place August 24th to 26th. Alabama headlines on Friday, August 24. Toby Keith headlines on Saturday, August 25. 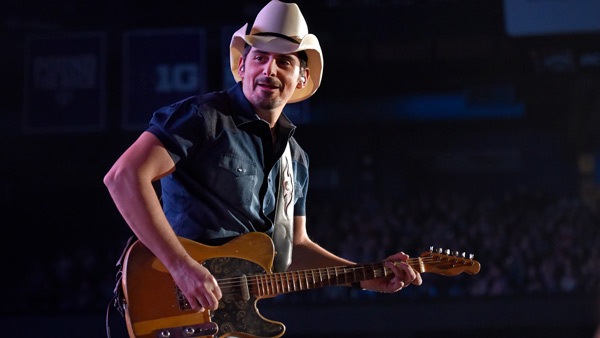 Brad Paisley headlines on Sunday, August 26. The remainder of the lineup will be announced at a later date. Three-Day Super Early Bird Passes, starting from $189, go on sale at 10 a.m. on Friday, March 16 at www.countryspiritusa.com. Three-Day Pass prices increase on March 30. Single-day tickets also go on sale March 30. A portion of ticket sales will be donated to Children's Hospital of Philadelphia (CHOP), a Children's Miracle Network Hospital.